Traditionally, cleaning in the jewelry industry is done by using dip tank agitation or conveyor cleaning systems. Both of these options produce a large footprint and generate a lot of waste. Liquid CO2 cleaning offers similar cleaning benefits all in one machine, significantly reducing the size of the operation. Cool Clean systems remove the waxes, polishing rouge, and other compounds used in final polishing. All of this with no mess, no odors, no waste water, no harmful chemistries, and it’s completely environmentally friendly. Eliminate your waste recovery facilities, and the expense of permits and operating licenses. Our systems clean without tarnishing jewelry. Eliminate your dry wheel polishing steps completely. Polished silver going into the cleaning system will come out pristine, with zero secondary polishing required. The Jewelry Clean 500 is a revolutionary carbon dioxide cleaning system for manufacturers in the industry. The system effectively removes polishing compounds and other contaminates from up to 500 pieces at one time. 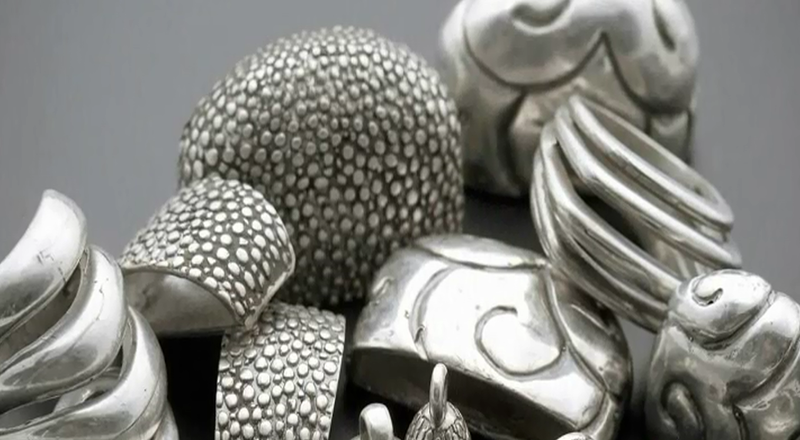 Materials that can be cleaned include sterling silver, gold, platinum and other precious metals. The system can also clean most natural and artificial gemstones, including diamonds, sapphires, rubies and cubic zirconium. The system can be used with raw castings or finished jewelry. A customized racking system can accommodate a variety of different types, shapes, and sizes. A fast 35-minute cycle time is controlled via a simple-to-use touch screen operator interface. The short cycle time produces clean, dry parts with no additional processing required. In addition, the machine can be monitored through a secure Internet VPN connection for remote diagnostics and troubleshooting. The Jewelry Clean 500 utilizes low-pressure liquid carbon dioxide to thoroughly clean the products. The super low viscosity of the CO2 allows it to penetrate even the smallest crevasses and remove the tiniest contaminants. Ultrasonic transducers accelerate the cleaning process. The jewelry emerges from the system clean and completely dry, ready for shipping or for the next manufacturing process.